A new jobs listing has appeared on Valve's official site which points to the company working on an unspecified piece of hardware. According to CVG, a job posting has appeared that confirms the fact that Valve is looking to re-inventing the computer hardware and accessory sector, and even vents some of its frustrations in the process. This isn't the first time a job listing has appeared that suggests gaming hardware is next on Valve's list. Back in April a similar posting appeared but was much vaguer than this latest one. "Open platforms like the PC and Mac are important to us, as they enable us and our partners to have a robust and direct relationship with customers," explains the latest job posting, which continues with a rather large BUT. "We're frustrated by the lack of innovation in the computer hardware space though, so we're jumping in. "Even basic input, the keyboard and mouse, haven't really changed in any meaningful way over the years. "There's a real void in the marketplace, and opportunities to create compelling user experiences are being overlooked." Because of this, Valve is looking for an Industrial Designer who "will join a world-class group of electrical, mechanical, software engineers and designers who are busily defining new entertainment experiences through both hardware and software." Note that hardware comes before software in this specific job spec. 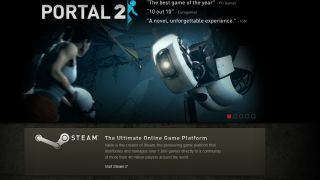 Valve is still continuing to deny it is launching hardware, but this latest job description, coupled with myriad other rumours, suggest a Steam Box may actually become reality and hopefully with it Half-Life 3. Come on, we can at least hazard a guess - remember when Steam was created as the launch platform of Valve's landmark game Half-Life 2? Maybe the company is hoping that lightning strikes twice and is prepping its hardware for the launch of the much-awaited sequel.